quite possibly the best blog you will ever stumble upon. : Another cool thing! If only I knew where to get one of these. 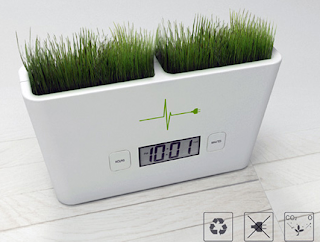 Can you grow wheat grass in it? What if you had a cat? Can you grow catnip? Hmmm. I don't think I would use this to grow catnip since cats might knock this little garden down. But it's a nice idea! i would totally grow some weed in there. I wish I had this! Something scary in YOUR house!! Another classic -- 2cool 4school! The world as we know it is changing! A wonderful cheese; Full of zing!